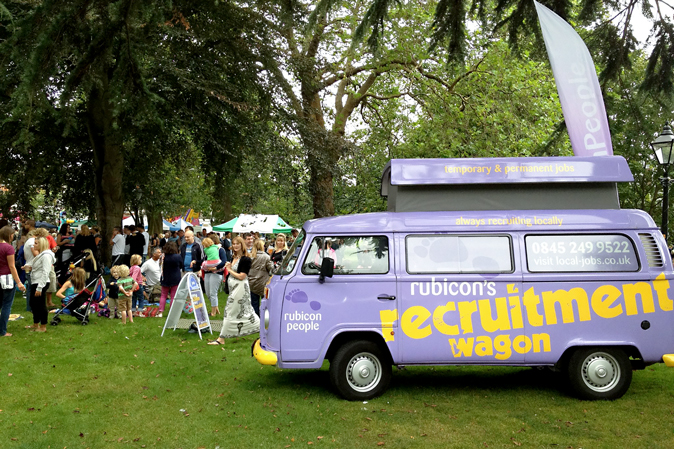 Rubicon Recruitment was established in 1982 and has become the trusted recruitment partner and staffing supplier to numerous successful businesses in the south. From their large recruitment centre in Poole, Dorset, they work alongside businesses across the UK to find them talented people who will help their businesses grow. Rubicon asked us to develop a clear and distinct brand which could grow with their business. Our response was to create a set of concepts based around the idea of people and their continued progression. Our concepts included the final logo; a foot icon, symbolising walking forwards through your career. 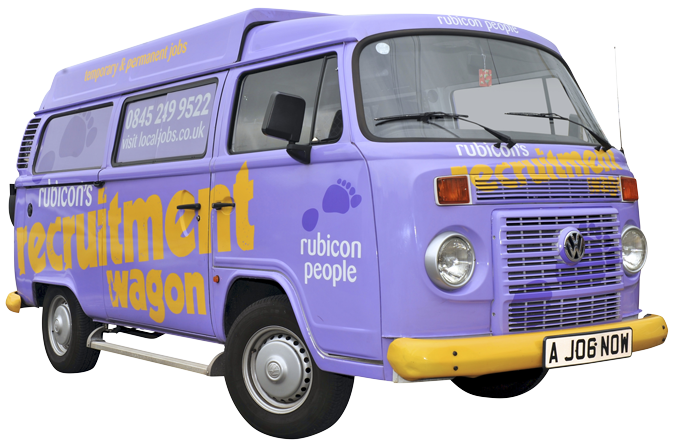 The Recognition team worked on applying the branding across numerous projects, providing a full suite of material including; business stationery, pull-up banners, vehicle livery including a full wrap of a retro VW Campervan, leaflets, advertising and shop front signage.